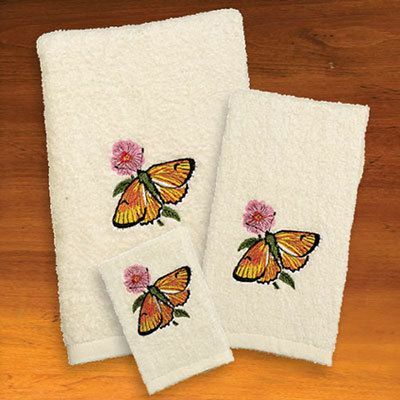 Set your bath aflutter with beautiful towels embroidered in bold butterflies and blooms. 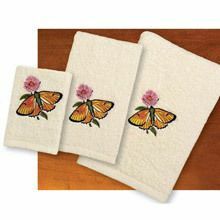 A welcome touch of nature. 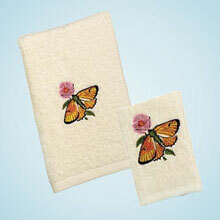 Exceptionally soft and absorbent beige polyester/cotton terry with brilliant embroidery. Machine wash. Imported. 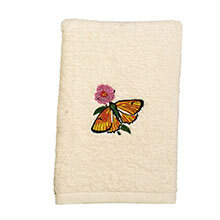 Bath Towel - 27" x 54"